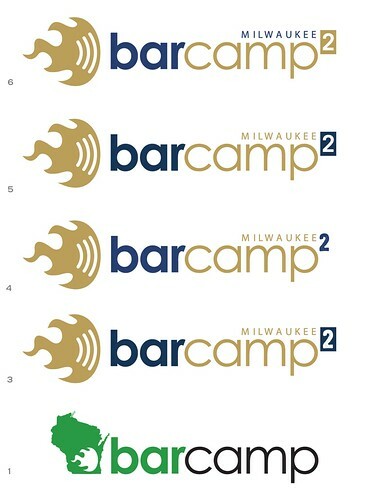 I came up with a few logo ideas for BarCampMilwaukee2. None of these should be considered final in any way, I just wanted to get the ball rolling. I expect others to pitch some ideas out there so we can do this in a collaborative way. With that said, if you have ideas, comments or suggestions, feel free to leave them here, on the Flickr page, or join the BarCampMilwaukee mailing list. Posted on Thursday, August 2nd, 2007 at 6:30 am. Subscribe to the comments feed. Both comments and pings are currently closed. Post on your own blog.